Illustrations by David Hellman (of Jonathan Blow’s Braid). Designed by awards-winning London-based Caspian Whistler. Booklet drawings by Philip Summers. 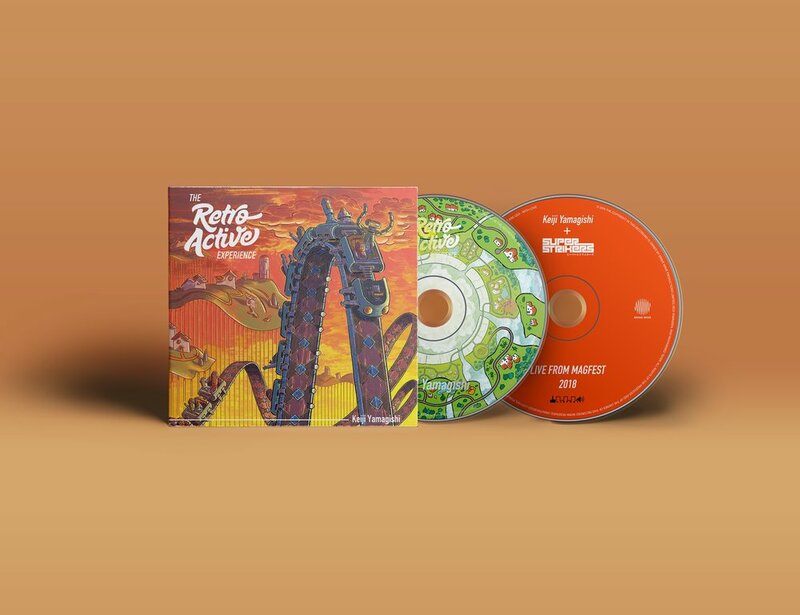 THE RETRO-ACTIVE EXPERIENCE is a project six years in the making, and marks the first collaboration between Ninja Gaiden composer Keiji Yamagishi and Brave Wave director Mohammed Taher. This new release combines the two previous Retro-Active EPs, two brand-new tracks, extra remixes, and a full live album featuring Brave Wave's in-house band Super Strikers. Keiji Yamagishi is a Famicom-era pioneer and has composed music for some of the most beloved gaming franchises, notably Ninja Gaiden, Tecmo Bowl, Captain Tsubasa and Gitaroo Man, and recently contributed music to The Messenger. 30 years later and surer of his place in life, Keiji Yamagishi and Brave Wave are releasing the definitive version of his groundbreaking solo project. Inspired from his Famicom days and fueled with more passion and inventiveness, Keiji Yamagishi sends us all into a "futuristic emotional chiptunes world", as he himself has described it. In addition to the 14 studio tracks, the album includes extra remixes from Takahiro Izutani (Bayonetta, Metal Gear Solid 4), Chipzel (Super Hexagon, Octahedron), KOZILEK (Minit, Nuclear Throne), and Brazilian newcomer Daliesk. The 2-disc release features illustrations by David Hellman (of Braid), booklet drawings by Philip Summers, and designed by awards-winning designer Caspian Whistler. The album also includes the 2018 MAGFest performance by the Brave Wave in-house band, Super Strikers. 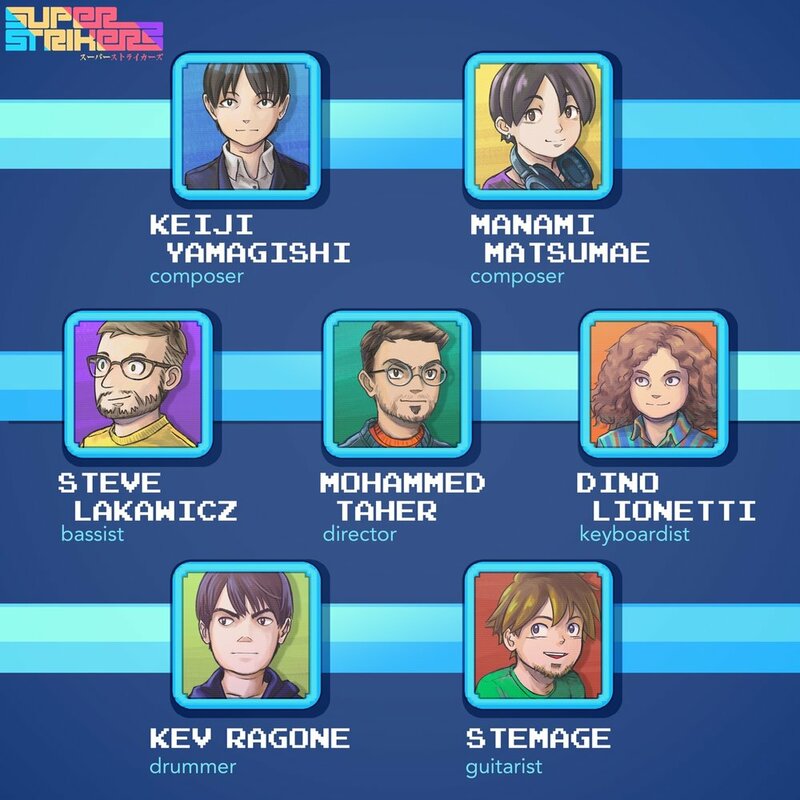 Executive produced and directed by label director Mohammed Taher, the band is made up of superstar gaming performers: Stemage (from Metroid Metal) on guitars, Steve “ap0c” Lakawicz on bass and chiptunes programming, Dino Lionetti on keyboards and arranging (from Cheap Dinosaurs), and Kev Ragone on drums (from Cheap Dinosaurs). Brave Wave’s arsenal of game composers can join them as producers whenever needed, with Keiji Yamagishi and Manami Matsumae (of Mega Man) helming original productions. Platinum-selling Swiss engineer Marco Guardia is the band’s mixing engineer, and is known for mixing a multitude of Brave Wave albums including The Retro-Active Experience, as well as being the restoration engineer behind our Billboard-charted albums Street Fighter II and Ninja Gaiden soundtracks, among others. For the MAGFest live show, a large portion of what you hear is actually not from Yamagishi’s original stems, but instead is made from scratch by ap0c and Dino using authentic VRC6 sounds. The band’s guitarist, Stemage, obtained the individual track stems from MAGFest Mediatron, and was able to professionally mix the live show into something you’d want to hear over and over again. The end result is a live album that's uniquely different from the studio album! Super Strikers recently finished two game arrangements planned for Brave Wave’s upcoming World 1-3 mega-album, the followup to 2013’s best-selling album World 1-2. Additionally the band is planning a full-length album, featuring rock-flavored game arrangements and showcasing new original work from Brave Wave’s legendary composers. The Retro-Active Experience is available to pre-order now, with a release on January 28, 2019. "This project already feels so nostalgic for me,” says composer Keiji Yamagishi. “I think that's a good thing, given the rose-tinted title of this album. I'll be very happy if returning listeners and newcomers alike can find the same satisfaction in this new release. I offer all the best to my beloved listeners."